Go about a journey which would be enlightening in terms of knowledge as well as spirituality. The principles of Jainism are very precious as they teach us about the principles of non-violence and asceticism, and India being the country where Jainism originated is one country you shouldn’t miss if you are a devotee searching for peace. We at Travelsite India are dedicated to give you the best travel experience and memories with this Jain Pilgrimage Tour. Excursion to pristine areas like Bhavnagar, Palitana etc. As arrive at Mumbai, check into the hotel pre-booked for you. Check in and relax. Rest of the day is free at leisure. Stay at the hotel for the night. As you have your breakfast, leave for Bhavnagar by road. Upon arrival our representative would take you to a heritage hotel where you can relax. Stay at the hotel for the night. Check in and relax. In the morning we will first visit the Gandhi Smriti Museum and then the old city. Thereafter we would return back to the hotel and enjoy a hearty meal and stay at the hotel for the night. Dine and relax. Start your day by going towards Palitana which is just at a distance of 50Kms from Bhavnagar. Upon arrival, check into the hotel pre-booked for you. Stay at the hotel for the night. Dine and relax. We will start our day by climbing to the hill of Shatrunjay which is considered holy in Jain religion. The hill in total consists of 900 temples, later in the evening climb back to the plain and stay at the hotel for the night. Dine and relax. Drive to Junagarh as we start our day by having a scrumptious meal. Junagarh is just 190Kms away from Palitana and is an easy ride from there. Stay at the hotel pre-booked for you. Dine and relax. Post a scrumptious breakfast we will start our trip by climbing to the peak of Mount Girnar which is at a distance of 5000 steps. This mountain is sacred and pristine to both the Hindus and Jain. After that we would return back to the hotel and have your meal. Stay at the hotel for the night. Dine and relax. As you have your breakfast, drive to Ahmedabad which would take a ride of 5 hours. As you arrive there, check into the hotel for the night. You can spend the evening by exploring the local vicinity and the markets around. Stay at the hotel. Dine and relax. Today we would visit the Sabarmati ashram where Mahatma Gandhi lived, and the Calico Textiles Museum. The way Gandhi had adopted the ideals of Ahimsa was inspired from the influence of Jain pupils of his ashram. Stay at the hotel for the night. Dine and relax. The first thing in the morning we would drive to Mount Abu. This hilltop is considered the most important and sacred amongst the Jains. Check into the heritage hotel pre-booked for you. Stay at the hotel for the night. Dine and relax. Dedicate your day by exploring the nooks and corners of Mount Abu. You are going to visit various temples and shrines located at the hills in this region. The hills can be a tricky place, so stay alert. Check in to the hotel after the excursion. Dine and Relax. The morning is free and you can enjoy the vicinity here. Enjoy the picturesque city. Then after lunch, board a train to Ajmer and then we would drive towards Pushkar. 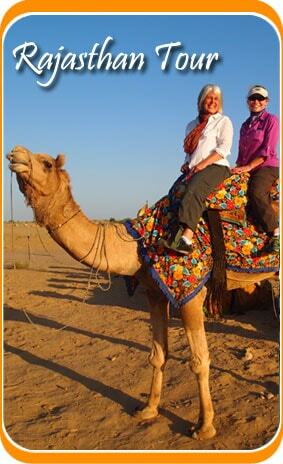 Pushkar organizes one of the most famous Mela the Pushkar Mela. Explore the bazaars there. Check into the hotel for the night. Dine and relax. After the breakfast we would visit the temple of Brahma. This is the only temple where Lord Brahma is prayed to. Then in the evening stay at the hotel for the night. Dine and relax. You can start your day by visiting the shrine of Sufi Saint Khwaja Moin-ud-din chisti in Ajmer. Then in the afternoon we would move to the railway station to board a train to Delhi. Upon arrival check into the hotel pre-booked for you stay there for the night. Dine and relax. This day would be dedicated to a visit through the city of Delhi. 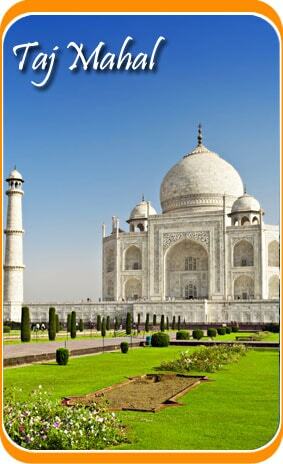 We can visit the Red Fort, The Jama Masjid the Qutub Minar and the Humayun’s tomb. Retire to the hotel for the night. Stay there and have dinner. Catch a flight to your home country as your Jain Pilgrimage Tour ends here.